For the past couple of years, hiking has grown to become a favorite activity among young people. 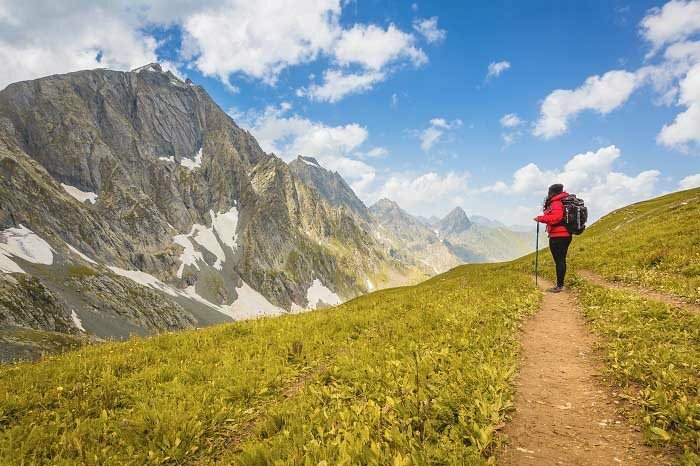 Some people think of hiking as a way of soul searching while others view hiking as a great outdoor physical exercise to build up strength and courage. Whichever side you are on, it is undeniable that hiking is a fantastic life experience that one should try at least once in a lifetime. 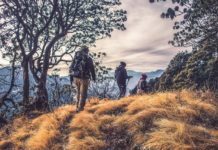 Something you may not know about hiking is that it can take many forms, from solo hiking to group hiking, and not to mention a more challenging form – thru hiking, which is becoming increasingly popular among adventurers. So what is thru hiking? Should you try it? And how do you try it? Our post will give you everything you need to know about thru hiking plus essential tips to conquer thru hiking. Thru hiking, or also known as through hiking, can be defined as a type of long-trail hiking in which one performs hiking end-to-end within one hiking season. In other words, thru hiking is foot traveling through a long trail uninterrupted. Each hiker may have his or her own definition of thru hiking, and while a long trail hiking trip is qualified as thru hiking by some hikers, it is disregarded as thru hiking by others. This is because there’s no single universal definition of thru hiking. So you may ask, what can be qualified as thru hiking? Is it the same as section hiking? 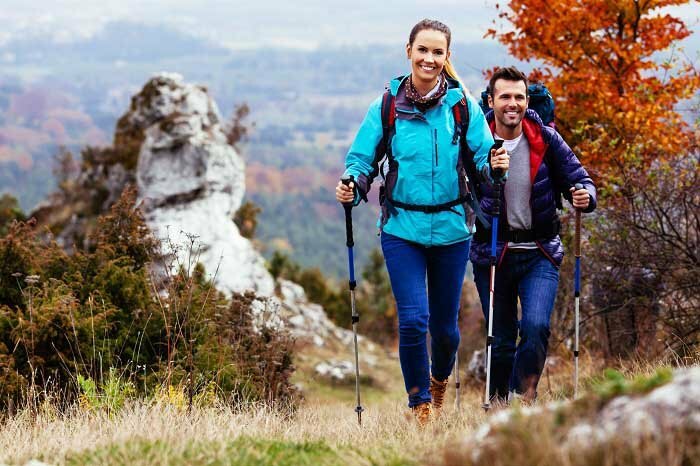 The answer is no, as section hiking refers to the type of hiking a trail one section at a time, whereas, thru hiking is hiking a trail from the beginning to end without skipping any part of the trail within the hiking season. That’s why thru hiking is also called end-to-end-hiking. But doesn’t the definition make thru hiking the same as backpacking? In fact, thru hiking differs greatly from backpacking, and we’ll tell you why. To understand the difference between thru hiking and backpacking, let’s first look at the definition of backpacking. The term “backpacking” is no stranger to us all and is frequently used among travel enthusiasts. It is even more popular among youngsters. Intrinsically, backpacking refers to the way we travel with our backpack which is packed with all of our stuff. So if someone says he or she is going backpacking, what they mean is most likely wandering around with their backpacks. Simple, isn’t it? Given the loose definition of backpacking above, we can more or less see some of the differences between thru hiking and backpacking. While backpacking is a more relaxed way of traveling around, thru hiking is a more focused and specialized form of hiking that requires more commitment and determination. You can suddenly decide to go backpacking at the very last minute and then off you go, but for thru hiking, you will need to plan everything a lot more carefully before attempting to go. If you still find it difficult to grasp what sets thru hiking apart from backpacking, think about the difference between hiking and trekking for your easier understanding. 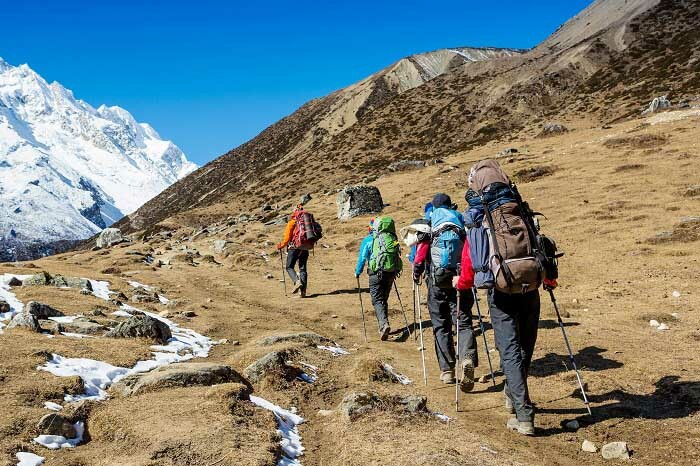 Hiking and trekking are both traveling on foot, but hiking is walking on man-made paths for leisure while trekking is more of a challenge where you have to walk on difficult terrains. The same goes for backpacking versus thru hiking. Backpacking is more about freely traveling and exploring at your own leisure while thru hiking is a more calculated effort to hike through long trails more rigorously. As a result, the gears you need to bring for backpacking will be different from the gears you prepare for thru hiking. To go thru hiking, you will need more navigation equipment, food and safety gears. For backpackers, the items are fewer and more lightweight. 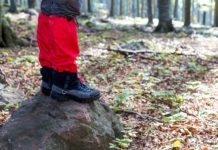 But sometimes, the situation becomes reversed, especially when a thru hiker is hiking through a popular trail and thus chooses to travel really light. Another difference is the skill required for each type. Since thru hiking means long distance, you will need to acquire certain skills and strength in order to have what it takes to complete the long trail safely. 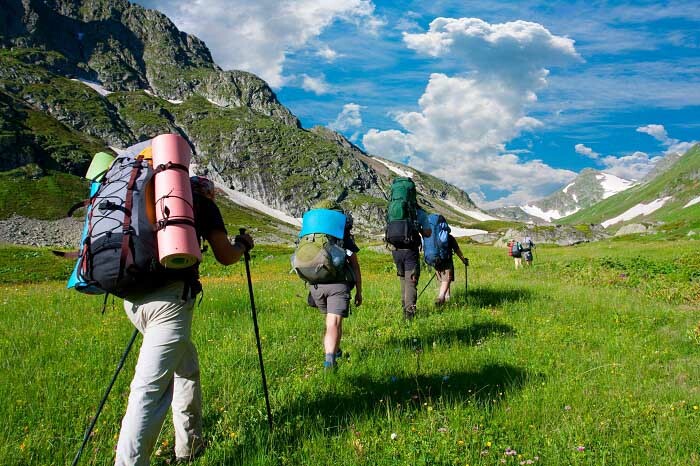 As for backpacking, the requirements are slightly different and can be lower than what is expected of a thru hiker. Now that you have been able to tell thru hiking and backpacking apart, it’s time to get to know some essential thru hiking tips. These tips will be especially helpful for first time thru hikers, as they will prepare first timers for what to expect during a thru hiking trip and list down all the do-s and don’t-s for a successful trip. Even if you are already an experienced thru hiker, we are sure that the tips below will still be valuable in one way or another. Thru hiking, after all, is an incredibly tough experience, so you’d better be prepared! - Do as much research as you can: As thru hiking is quite different from backpacking, keep in mind that the logistical arrangement won’t be the same as a backpacking trip, so quit making assumptions, roll up your sleeves and conduct a thorough research on preparatory steps for a thru hiking trip. Don’t try to improvise, instead, choose to plan everything systematically, including your itinerary. And only start your trail when you are fully prepared physically and mentally. Hope for the best, but plan for the worst. - Some lessons are learned in a hard way: Even the best planner can’t be 100% correct. So apart from research and planning, it is good to learn from previous mistakes of thru hikers to increase your chance of success. Many thru hikers had to opt for an early exit and could not follow through to the end due to various reasons: overspending their budget, too tight schedule, sickness or injuries and so on. Once you are aware of potential challenges ahead, you stand a much higher chance of completing your trail. - Choose your gears carefully: Not all of your backpacking gears work for thru hiking, so prioritize more lightweight (as light as possible) and robust gears. The weather will be an important factor. If you choose to thru hike in fall or early winter, opt for a warmer sleeping bag, a durable tent and warm yet light clothing. If you are into capturing moments of your hike, invest in a good quality hiking camera. If you are thinking about having a campfire on your way, choose your supply wisely so that you can easily swap out stuff at resupply stores along your way. - Train yourself: In addition to a list of fantastic gears, it is necessary for your part to be up to the challenge. 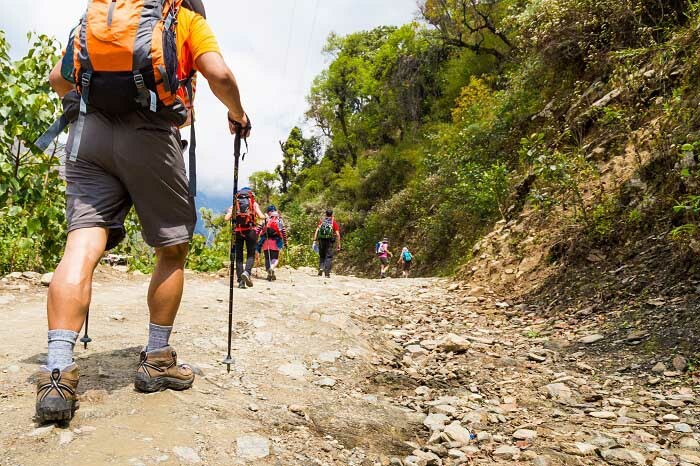 You can familiarize yourself with hiking to improve your stamina. So getting some training in advance is never a bad idea. There’s no better way to improve yourself by continual practice. Take great care of your feet, as they will be thoroughly tested along the trail. Lastly, consider taking a first-aid course just in case. - Connect to the thru-hiking community: A thru hiker doesn’t necessarily have to be alone. There is a big circle of fellow thru hikers out there. Try connecting to that community before your trip to learn from them. During your trail, you will bump into other thru hikers who will be your closest contact along the way. There are also trail angels, who are kind and helpful in providing aid and comfort to thru hikers. So consider making some donation to trail angels to show your appreciation. - Hike your hike: This is an insanely popular mantra among hikers, which means hiking in your style. You know what works best for you, so listen to your body, trust yourself, and do the hiking the way you want. Once you are comfortable with that, you are ready to kickstart your journey. There are several well-known thru hiking trails that many dream of conquering. Completing one or all of these trails will be a profoundly rewarding experience for anyone’s life. Check out some of the best thru hiking trails below to get yourself some incentive to become a true thru hiker. This is one of the oldest thru hiking trail in the US that is incredibly beautiful and possibly the most accessible. The trail is 2,200 miles, which is enough to dishearten any first timer. The best time to visit the trail is from late March to late October. Stretching through 2,663 miles, the Pacific Crest Trail offers amazing experiences for thru hikers including stunning scenery and great escape from civilization. This trail is gaining much popularity after the movie based on a hiking trip through PCT named Wild is released. If the above two trails are too daunting for you to try, why don’t you look at the Ice Age trail instead? This Ice Age trail is only 1,200 miles in length, and the crowd will not be an issue as this trail is much less popular than the previous two. We hope that our post has been informative and helpful for you in taking your first step in your thru hiking journey. We are not going to sugar coat it: thru hiking is tough, and it requires physical and mental strength and enormous commitment to pull it off. But your determination will be rewarded with one of the most memorable life experiences that not many people are capable of having. 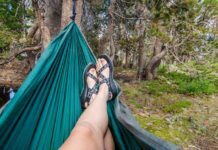 Next article8 Essential Hammock Camping Tips For Beginners – Find Out Now!